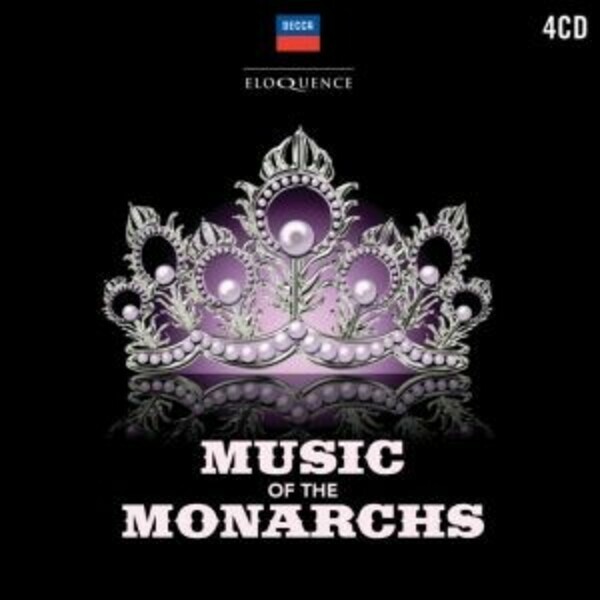 More than 250 years of music celebrating the reign of the great British monarchs. Artists features include the Choir of King's College, Cambridge, The English Chamber Orchestra, Sir David Willcocks, Emma Kirkby, Judith Nelson, Shirly Minty, James Bowman, Martin Hill, David Thomas, the Choir of Christ Church Cathedral, Oxford, the Academy of Ancient Music, Simon Preston and the Purcell Consort of Voices. CD 1 contains Handel's four uplifting Coronation Anthems, including the epic Zadok the Priest with the Choir of King's College, Cambridge, and his beautiful Ode for the Birthday of Queen Anne, with its celestial invocation for trumpet and counter-tenor, 'Eternal source of light divine'. CD 2 is titled �Music All Powerful - Music to entertain Queen Victoria� and is a re-creation of a bygone age with music by Mendelssohn and Sullivan as well as a host of now forgotten composers, as would have been heard at the court of Queen Victoria. As a companion disc, we have �Music of Albert - Prince of Saxe, Coburg und Gotha� as CD 3. Behind the stuffed shirts and the stiff upper lips in the Victorian era, dwelt some admirable spirits, none perhaps more so than Prince Albert. Among this collection of songs by him are some which could take their place worthily in any Lieder recital, some reminiscent of the writing of Schubert and early Schumann. Finally, CD 4 is �A Celebration of Royal Music� - a celebration of the great British coronations from King James (1685) to Queen Elizabeth II (1953) with pomp and pageantry. Music by Purcell, Elgar, Walton, Bliss, and Britten's distinctive arrangement of the British National Anthem.